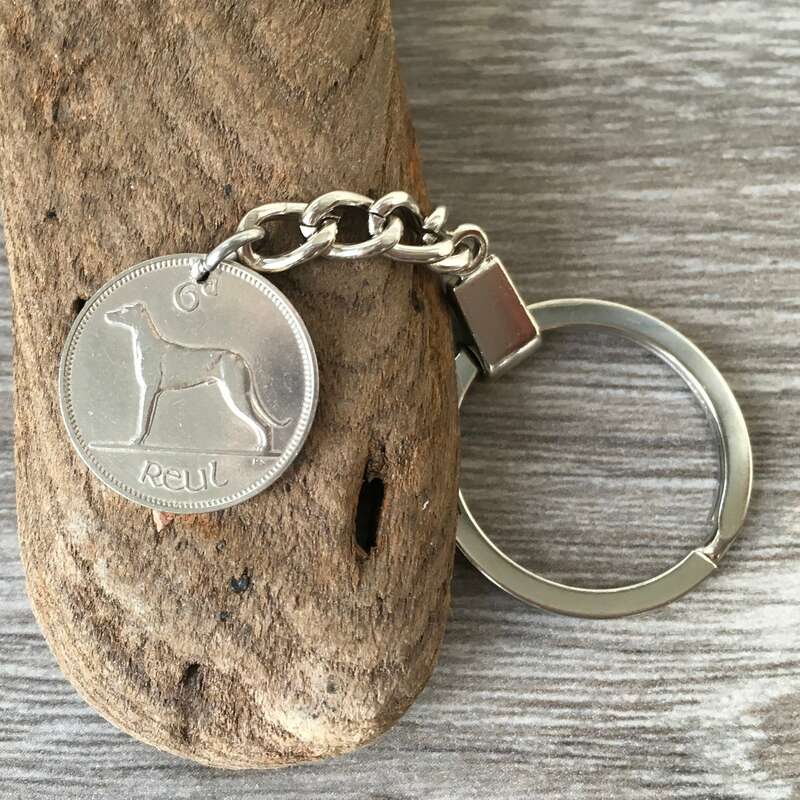 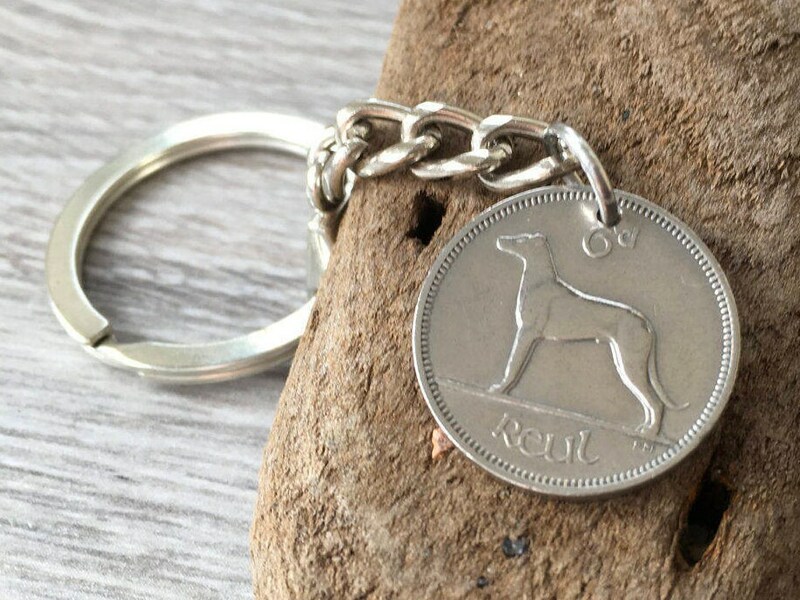 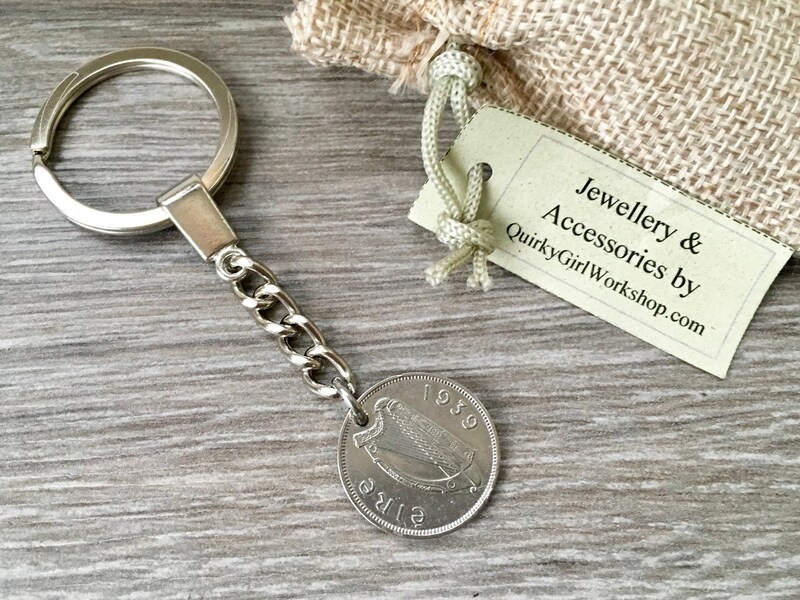 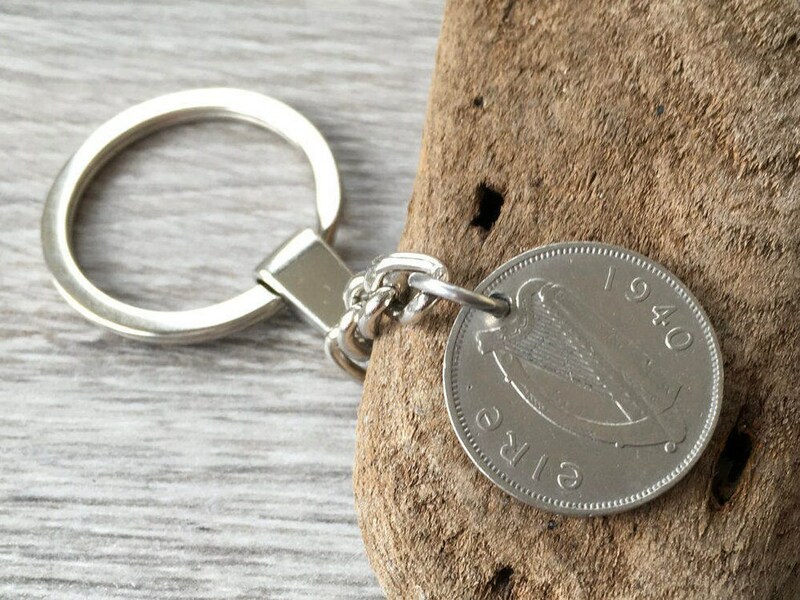 Lucky Irish keychain, vintage coin keyring, 79th or 80th birthday gift, dog lovers gift. 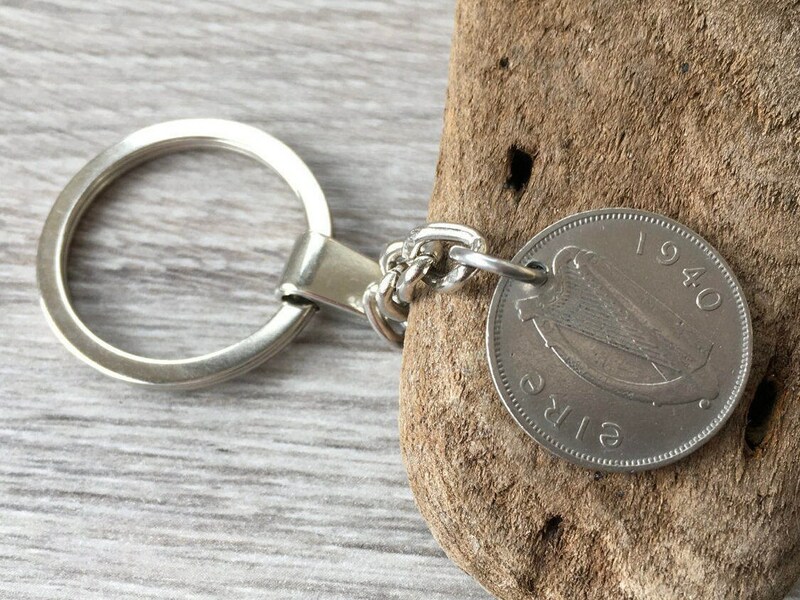 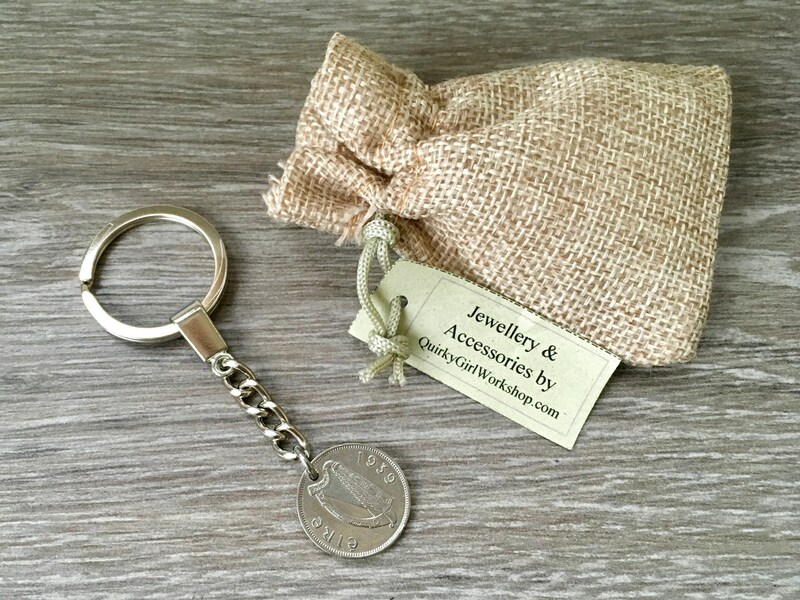 Lucky sixpence charm. 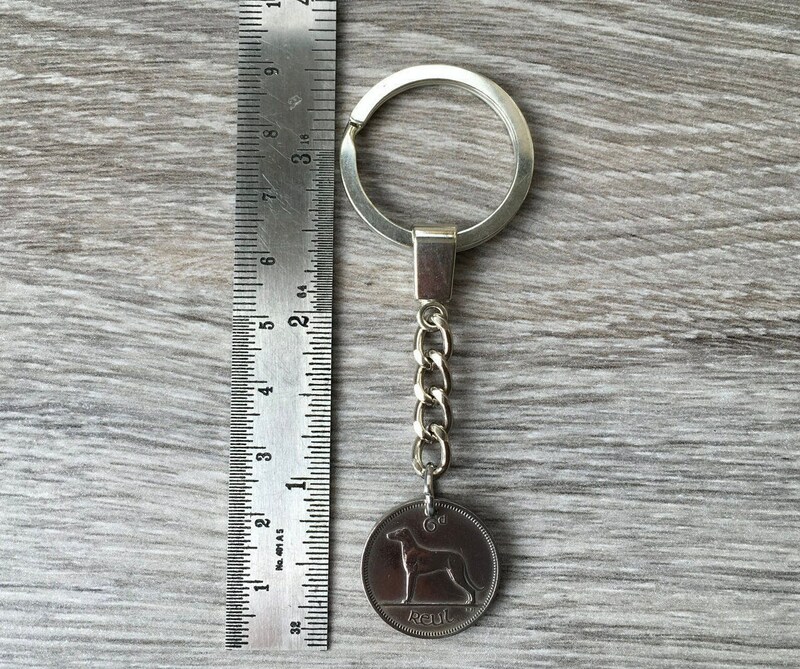 Great key chain, well made, as advertised/pictured, well received.